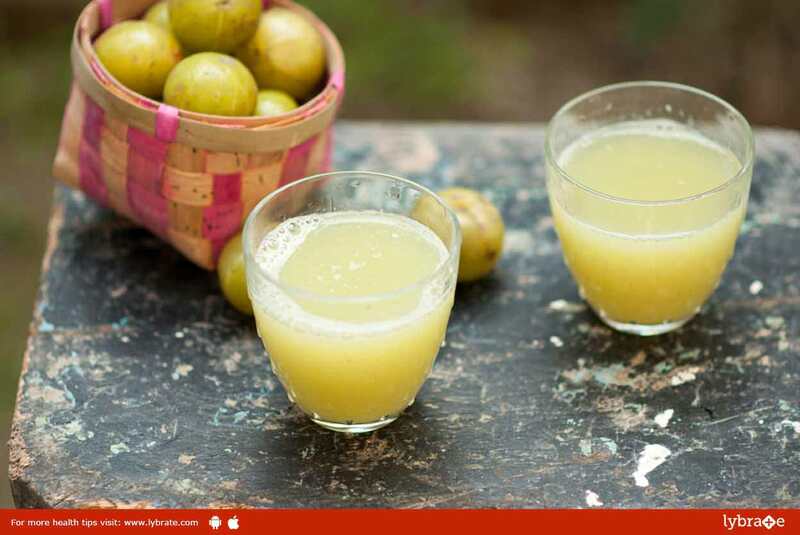 Amla Juice – Know Advantages Of Starting Your Day With It! Amla or Indian gooseberry has been used in Indian households for a long time for making pickles, chutneys, jams and murabbas. Amla is rich in Vitamin C and other important nutrients that contribute to its health and beauty benefits, making it an essential part of any diet. Drinking Amla juice, only twice a day, helps you maintain a healthy skin. Amla juice also helps in regulating various body functions as well. It is extremely easy to prepare Amla juice at home. To help with the bitter taste, you can also add sugar, jaggery, and cardamom for flavor. Amla Juice Helps Control Asthma and Bronchitis – Amla juice, when taken with honey, helps in bringing asthma and bronchitis under control. Amla juice also reduces the risk of a chronic cough and tuberculosis. Overall, Amla juice is good for your lungs. Amla Juice Helps You Lose Weight – Amla juice increases the protein levels in your body which aids in burning excessive fat. Amla juice also brings down cholesterol levels in the body and reduces the risk of a heart attack. Amla Juice Helps Fight Gastric Problems – Amla juice is extremely helpful in curing or controlling a number of gastric disorders including hyperchlorhydria (burning sensation in the abdomen), diarrhea, dysentery, piles, and constipation. Amla juice also helps in maintaining healthy liver function, cure peptic ulcers and control acidity. Amla Juice Removes Toxins From Your Body – Amla juice helps in removing toxins from your body by purifying the blood. Amla juice also helps in increasing your body’s hemoglobin levels and ups the red blood cell count. Amla Juice Keeps Your Body Cool – Amla juice contains a lot of Vitamin C, which helps in bringing down the body’s heat level and keeps it cool. In summer, Amla juice will help you to stay hydrated and have a healthy skin. ← Diabetes – What Are It Risks To An Unborn Child?